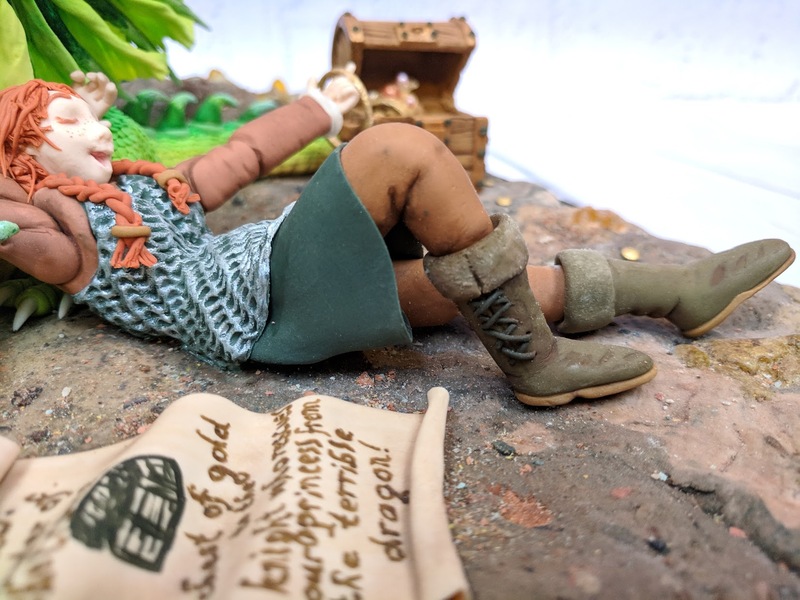 For my 2018 Cake International entry, I decided to enter the Small Decorative Exhibit category and present a story of a self-rescuing princess who has no cares to give for the patriarchal institutions trying to keep her at heel. This princess has a dragon friend and despite what her parents seem to think, she’s not the one in danger. She’s seen casually spinning her crown on her finger beside the chest of gold she and her dragon went and claimed for themselves instead of by some knight for separating her from her friend. 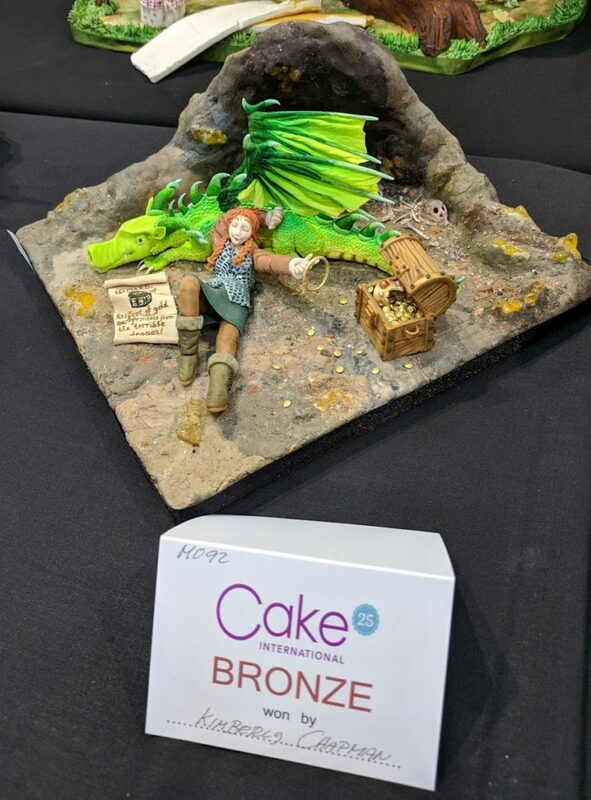 My entry on the table at Cake International with the Bronze card. 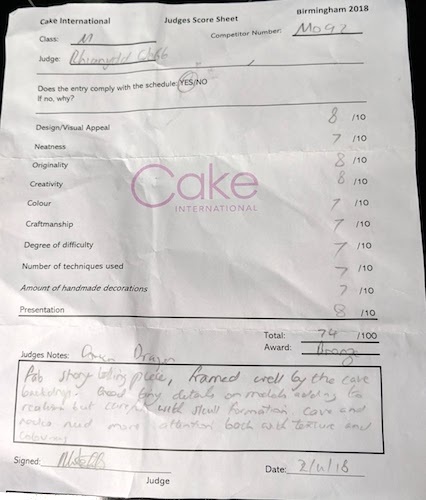 Every entry at Cake International is graded individually and can receive Gold, Silver, Bronze, Certificate of Merit, or nothing at all. I had really hoped for a Silver this year and my Bronzes in previous years are demonstrably rougher than this piece so I really thought a Silver was possible, but it turns out CI decided to award fewer top slots this year so everyone was downgraded. So another Bronze it is. My judging sheet. I’m not sure I agree with some of the scores given as you’ll see below I hand-modeled almost all of this, but it is what it is. I started out with an 11″ board because this category requires everything to fit within a 12″ cube, so I figured with a board that size I was safe from disqualification even if something somehow was overhanging on an edge. I set the scale to my Body Kun artist model figure to help me really stay within scale for the figure, because I know it can be quite a challenge to ensure all limbs and other parts fit together properly. 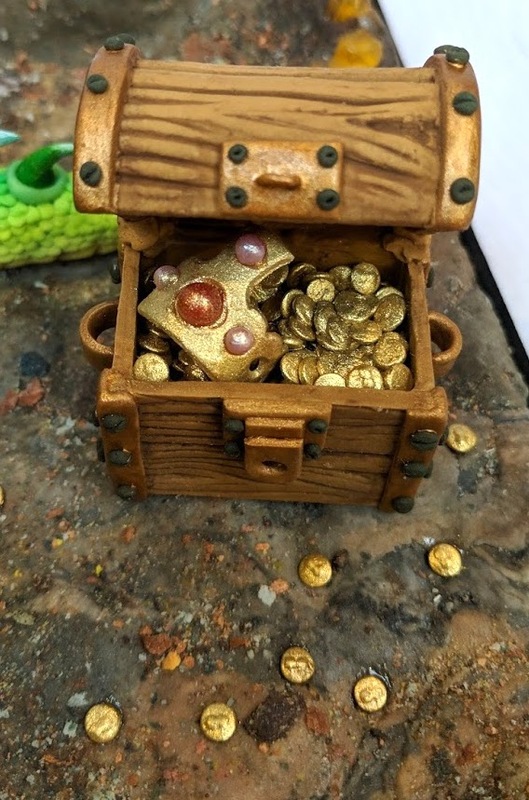 Going with that scale, I began by making some gold pieces for the chest and to be scattered to the ground. 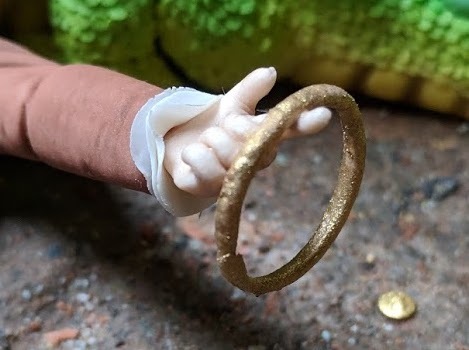 I held up various Wilton tips to my Body Kun figure’s hand and decided the #6 tip made for a goodly sized piece of gold (about 3.5mm). I then used the tip to cut rounds out of thinly rolled Satin Ice gumpaste and I stamped each one with the O of a miniature letter stamp (Dovecraft Alpha Stamp DCVW0050) because the space of the O looked vaguely like a head and shoulders for the “heads” side of a coin. It was very difficult to centre the stamp on each coin because I couldn’t quite see the coin under the stamp, but after awhile I got the knack of how to line it all up. I rejected any coin that was too far off centre. 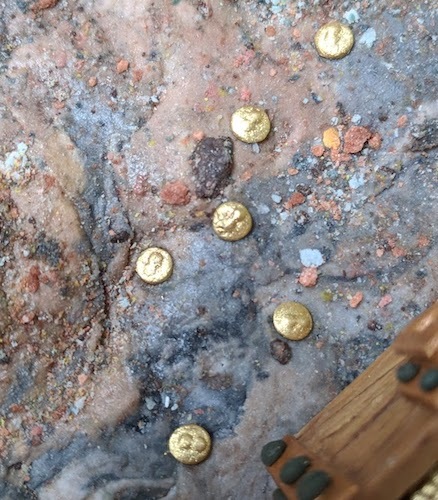 Later I attempted to airbrush the coins gold, but as I somewhat expected even the lowest setting of the airbrush blew them around. I had them in a tub, which I hoped would contain them and it did, but even that tiny bit of moisture made such small pieces stick together after blowing around. 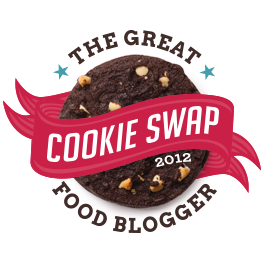 So then I had to separate them all and dust them with edible gold dust instead. I reserved the best-looking ones with visible heads and put the rest in the chest, scattering those best ones around the base. I’m not sure if the judge even noticed, to be honest, but I was quite pleased with them. Finished coins scattered on the ground of the base. For the base itself, I dug out a bunch of old fondant in various colours and then added more colour as needed to develop several distinct, marbled shades. I also added granulated sugar to the sandy tone because I find that gives it a sparkle like real sand. Cave floors come in all sorts of shapes and colours, and I researched a lot of photos (including many taken by myself and my husband over the years) to get a feel for how the rocks look. Dripped floors have a different texture than flooded floors, and I decided I liked the look of a flooded floor best, as if this is an old cave where water used to flow in and out but now is secure enough for the dragon to take roost. 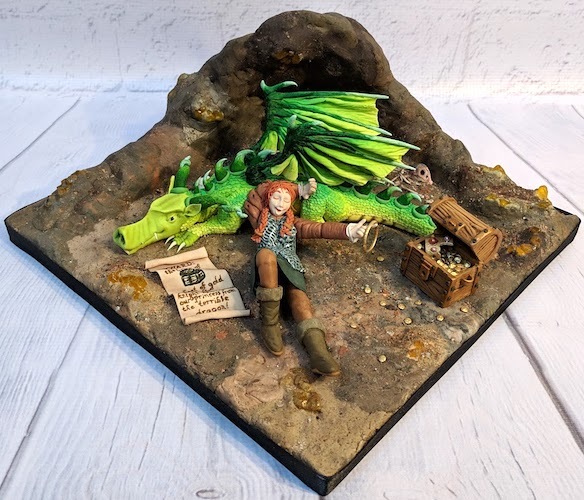 I built up a foil cave wall on one corner and then set about covering it in patches of the fondant, taking care that the geological strata matched on the back and front of the wall. Given that the judge particularly mentioned not liking the colours and texture of the cave, I’m guessing she hasn’t seen this type of cave and wasn’t keen on my choices, but I stand by them, especially since I’d had my husband (who spent his younger years spelunking through Australia) approve the texture and colours from the kinds of caves he’d seen. I also used old, dried chunks of fondant grated on a microplane grater to make extremely fine, multicoloured “dirt” that could be scattered around elements as needed. To bump up the “magic” of the place – after all, there’s a dragon! – I decided to add some glowing crystals throughout the rocks. I used some Cake Play yellow isomalt nibs that had been in previous Austin cake show goody bags and Simicakes’ Geode Mold to make lots of little bright yellow crystals. 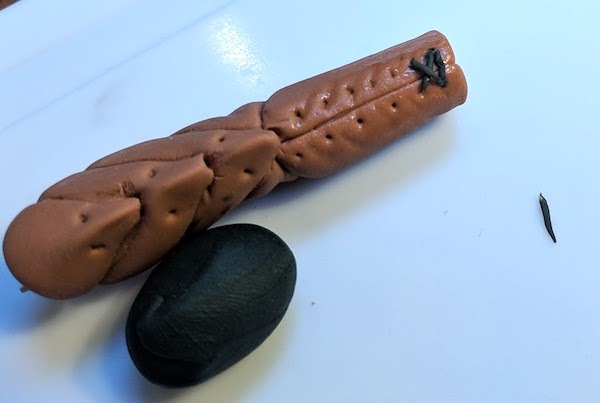 With the mold, I chose various bits in a line each time and then broke them up into smaller chunks, so none of them looked like the mold itself. I also rubbed each of them with bits of the fondant to grind “dirt” into the grooves and make them look like natural protrusions. 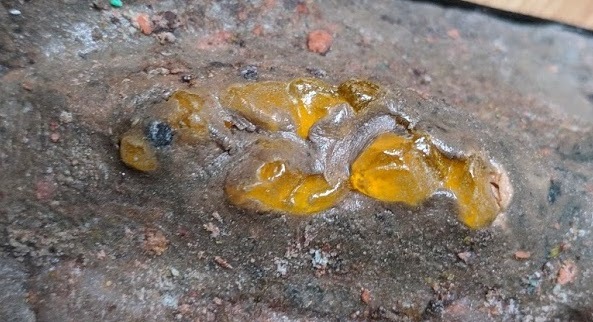 A line of isomalt crystals made to look like they’re poking up through the rock of the cave. To ensure they were bright, I backed them all with a light marble tone of grey rock colours, and then sealed all of that with Dinkydoodle Shell and Shine (otherwise the isomalt may have melted in humidity later). To take the shine back off any rock bits, I then immediately dusted those bits with a tiny brush dipped in corn starch and my ground-up fondant “dirt”. 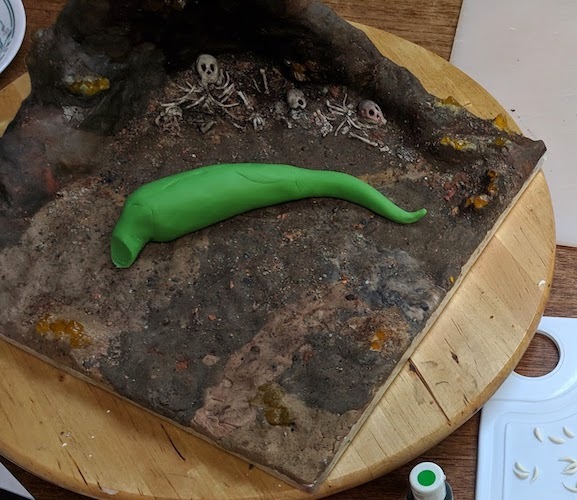 Once those chunks were all dry, I was able to embed them in any colour of the fondant rocks/dirt without losing the bright glow of the isomalt to a dark backing. In some cases I chose to let some of the grey backing show through as if this was an exposed vein of another kind of crystal-bearing rock. In other cases I fully buried the lighter background to give more contrast. Although the bits look random, they’re all actually very carefully considered and placed. 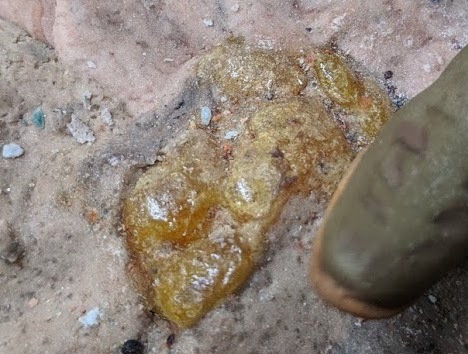 Some crystals protruding from the side of the cave wall, these ones showing the grey vein from which they’re growing. 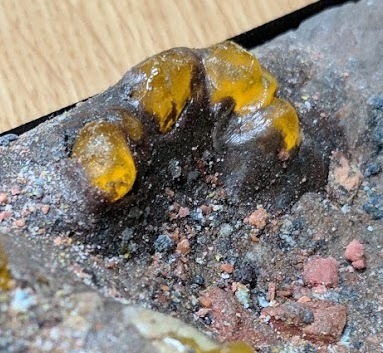 These ones were on an edge of the cave where water would have been forming the texture of the rocks, so I made them look as though water had swept through them for many years using a fine brush and fondant matching that section of rock. These ones were part of another wall where I wanted the grey vein to show through as if the darker rock on top has been wearing away. 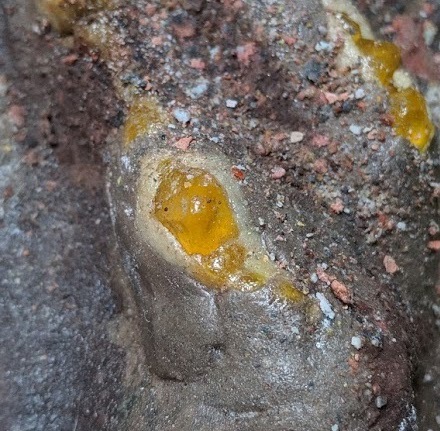 For any of the crystals on the cave floor, I used my torch to smooth out the geode mold’s edges, and also spent a lot longer rubbing the rougher fondant against them to smooth them out further. 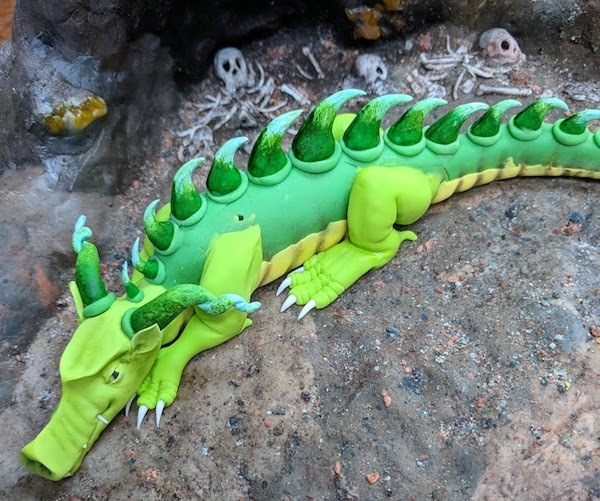 I figured if this dragon has been in this cave for awhile and there was water shaping the floor before the dragon even got there, any rocks on the floor would have been beaten down smooth over the years. I also made these dirtier because who sweeps a dragon’s cave? Worn-down crystals on the cave floor. 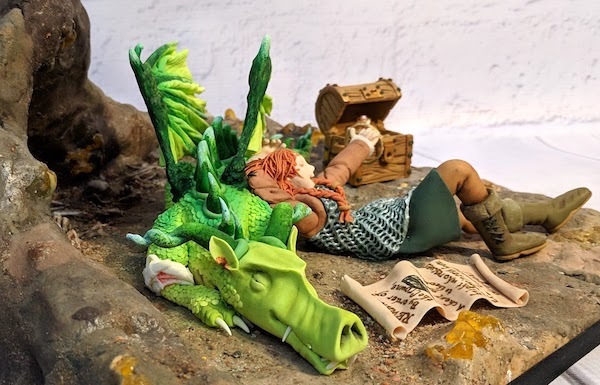 I knew the dragon would be cuddling up with the princess and be slightly smiling at her, but I wanted to make it clear that this is no pacifist of a beast. 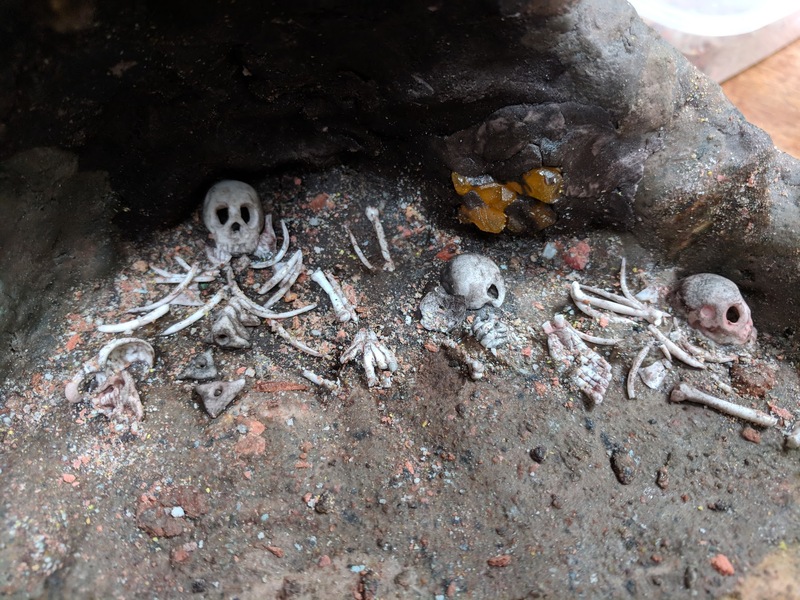 To tell that part of the story, I made parts of three skeletons to have strewn about the back of the cave. I made most of a skeleton from one victim, a skull, ribs, hand, and foot from another, and then just a hand and broken skull from a third. They’re laid out as if the pieces had once all been together but smashed around over the years. 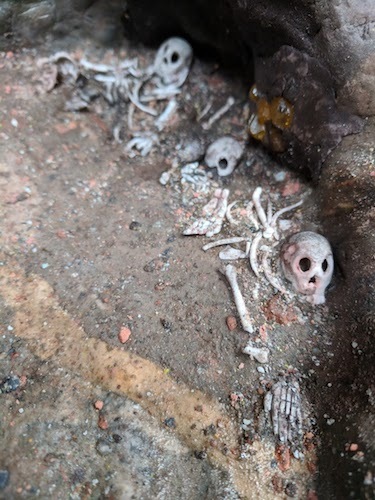 All of them were also sized to the Body Kun figure for consistency, with the skulls slightly smaller than the tip of my pinky finger. I used a slightly different palette to dust each one to imply differences in age, but again I don’t think the judge got that since she commented that I should be “taking care” with the skulls (I don’t know what that means because I did, perhaps she didn’t want them to be all broken up but I’m not sure). 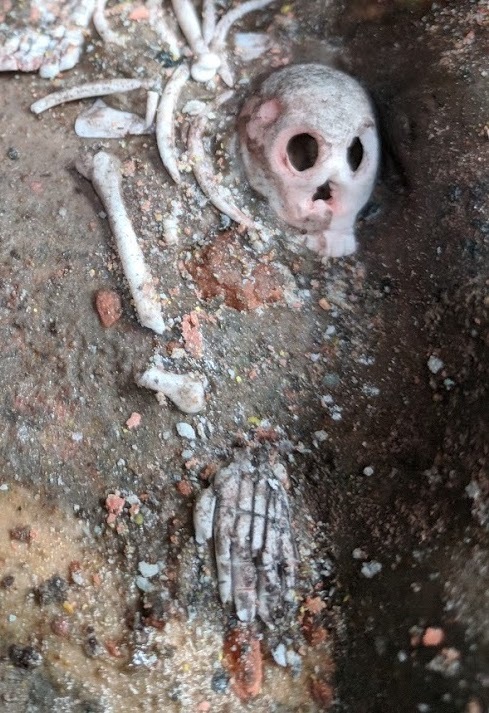 The most complete skeleton on the final piece, clearly showing that broken mandible around the base of the skull. Once the base was ready and the skeletons safely tucked in the back, I started work on the actual dragon, because then I knew what the contours of the rock would be and how to make it all work together. 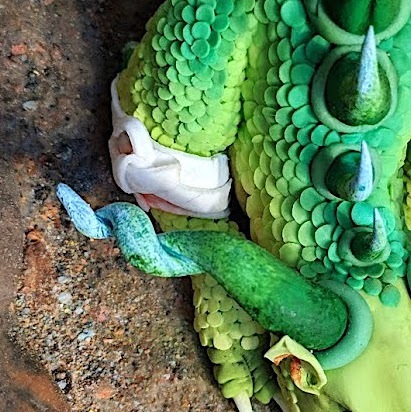 I made a foil centre for the dragon’s body and then covered that in some scrap old green flower paste to form the general shape of the body. I let that dry on the base but not attached, so it would droop into the indentations of the rock as needed. That also let me plan out the general size, shape, and number of other elements needed such as spines, horns, and claws. I made those and let them dry before dusting and painting as needed. 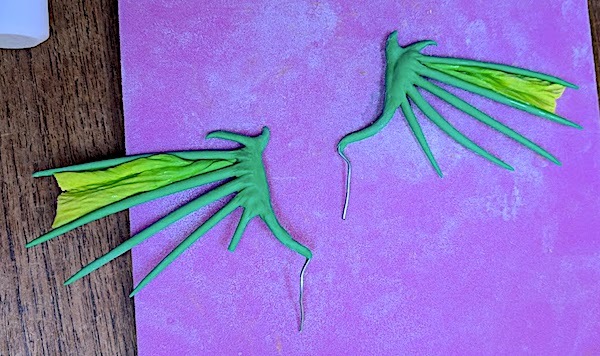 Forming the spines out of Satin Ice gumpaste tinted green. Later they’d be painted with Americolor white on the tips, dabbed with Americolor Leaf Green on the bottom, and then dusted with various tints of green dust to take off the shine and blend the colours throughout. I made more than I needed in case I broke any. The curled horns were wrapped around a wire to make the curl and then I removed the wire and tightened the curl up. It was important to check they curled in a mirror match! They were later painted as with the spines. Also here you can see the white Satin Ice gumpaste in claws to dry, plus three sizes of eyes to dry as well so I could see how they fit once I’d made the head. The eyes were later painted yellow, dabbed in the middle to lighten them. Next I drew on a black slit with an edible ink marker, and then sprayed them all with Shell and Shine to seal in the colours and make them shiny. The base body laid in place so it would dry to the right shape. 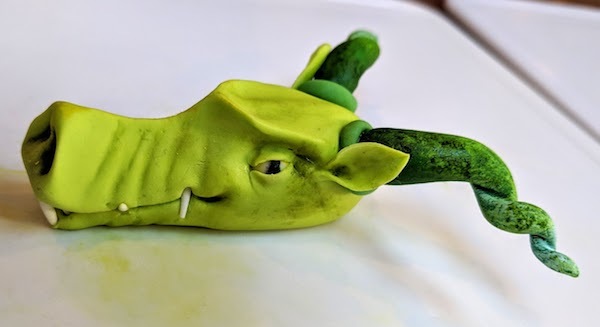 Next I made the dragon’s head, using Satin Ice gumpaste tinted green with Americolor Electric Green. I formed it in one piece with a split mouth, and inserted the pre-dried gumpaste teeth into the mouth as needed. 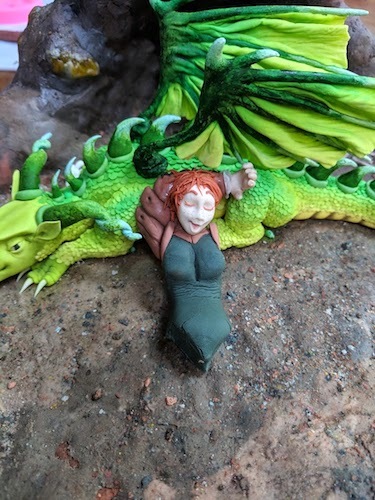 I pushed the dried, painted, and sealed gumpaste eyes into place and then built eyelids over such that it would look like the dragon was half asleep but still looking at the princess. This is the head with the dried, painted, and dusted horns in place, but before I dusted the actual head itself. This is the head after being dried and dusted with several shades of green and some black in the nostrils. While the head was drying, I placed all of the back spines down the body, taking care to ensure all of their points lined up on a single, curved line down the back. 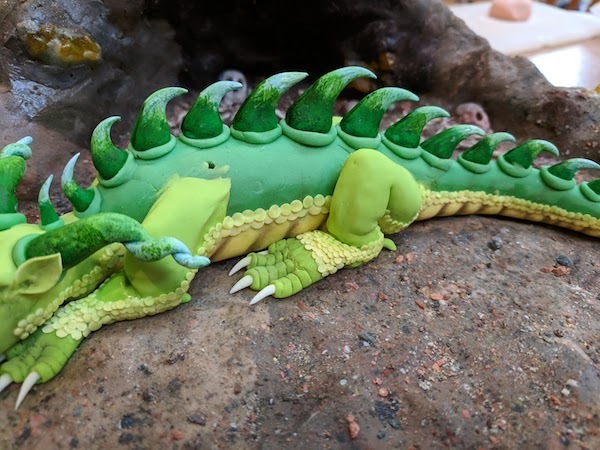 Then I secured the head in place on the body with a toothpick and patched up the join, knowing I was going to cover that in scales later so I made it smooth but didn’t worry too much about colour matching. I then made a yellow belly and added brown dust to the indentations, keeping a brush handle under the chin to ensure the piece dried with a bit of a gap under the neck where I could later tuck the front limbs. At this point the darker green original body was really firm so I could handle it, but the underbody and neck join were soft so I could put it together and position it for the next round of drying into place. Next I formed the limbs, taking care at that scale to make any curves or folds ready to accommodate the forthcoming scales. The pre-dried claws were pushed into the soft gumpaste easily, and although one broke I had extras so it was okay. I also mounted the body to the base at this point so the limbs would properly contour to the rippled rocky floor of the cave. It was a bit of a quick-working trick to get it all on at the same time to fold the drying gumpaste under where I needed it to go without munging another part somewhere else. The next step was to put the scales on. Individually cutting, rolling, and sticking hundreds of scales seemed like a lot better of an idea before I actually started it, heh. It took SO MANY HOURS to do this, especially because I kept rejecting any scale that wasn’t perfect, and spent so long placing each one, constantly telling myself, “This is for a Silver. 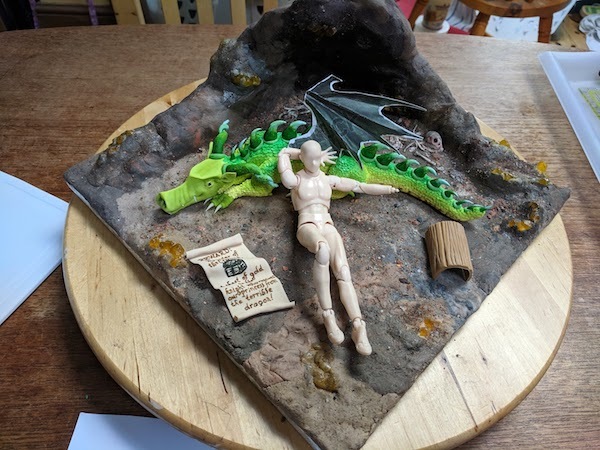 This is for a Silver.” So it’s very disappointing that the scales weren’t even mentioned on the judging sheet and with the scores the way they are, I’m not sure the effort was really noticed. I would definitely recommend against this method unless you’re sure it’s worth it, because it’s long and tedious compared to the much easier straw method for making a faux scale texture. The straw thing takes minutes, the cut-and-rolled method takes hours over days. 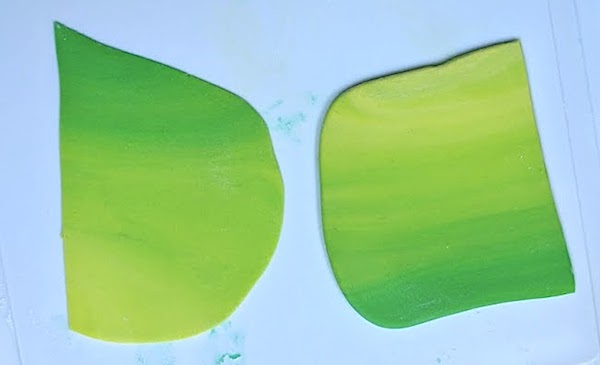 But anyway, I began by making a gradient in the gumpaste, working from Americolor Electric Yellow on one end, blended with Electric Green towards the middle, and the pure Electric Green blended with a mix I made of Turquoise and Leaf Green towards the darker side. Then I rolled it out very, very thin and cut each scale with a #3 Wilton tip for most of the coverage, but going up to a PME #3.5 tip for the middle of the body. This took a firm cut-and-twist motion to get a clean edge every time, and started to damage the tip, so every once in awhile I had to use my Kemper needle tool to straighten out the edge of the #3 tip. I pretty much trashed that tip over the course of making hundreds of scales, so while it’ll be fine for general flooding-type piping in the future I’ll mark it to remember to never use it again for anything where a perfect piping job is required. If you don’t push firmly and twist, they don’t cut cleanly and stay stuck in there, leaving a ragged edge when you pop them out. Every scale was then rolled with a ball tool on a foam mat for making flowers, exactly as you’d do for a petal but on a tiny scale. I was using my old plastic Ateco ball tool but it has a seam that kept catching on this small scale, so I have since bought some seamless stainless steel ball tools to use should I ever try to roll things this small again. I cut and rolled about 10 at a time on each go, collecting them in the tip, dumping them onto the foam mat, knocking them apart if they were stuck at all (a corn starch dusting on the surface of the gumpaste helped avoid that for the most part), rolling them, and then picking each one up with a lightly damp brush and sticking it into place on the model in rows, working up through the gradient as I went. The first row going on. I had to think ahead about how the colours and lines would play out on the limbs as I went. 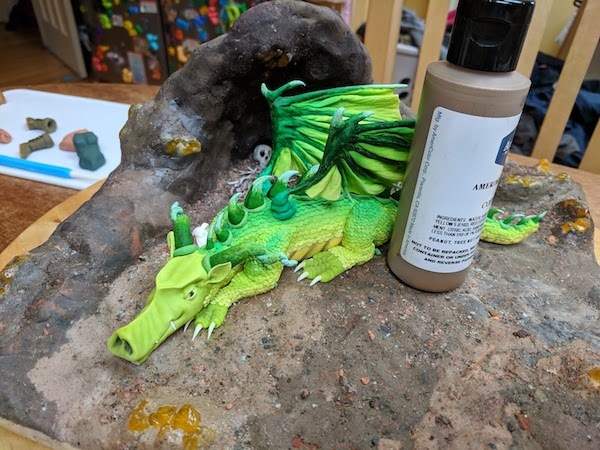 I also had to avoid the holes for the wings, be sure to tuck scales into folds, position them in a sensible way around the spines, and make sure both sides of the dragon were relatively even. 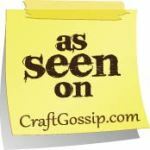 It was pleasantly repetitive work with podcasts on but very, very, very time consuming. Meanwhile, I started the wings. I did a Google image search for “dragon wings” and found a front-view of a set that looked about the right kind of shape, then enlarged them in printing to about the right size for my model. 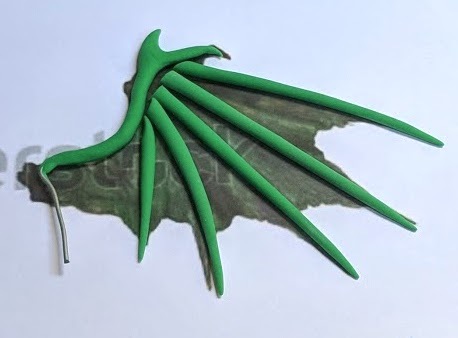 I used the same darker shade of green Satin Ice gumpaste I’d used for the spines to make tapered sticks that lined up against a gumpaste-covered wire bent in the shape of the main bone of the wing. 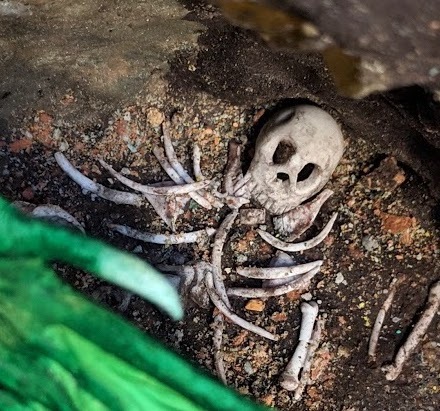 Even though my final wings would be very different in colouring and even the angle of these boney bits, by having a mirror-image graphic I was able to ensure both wings were the same size. 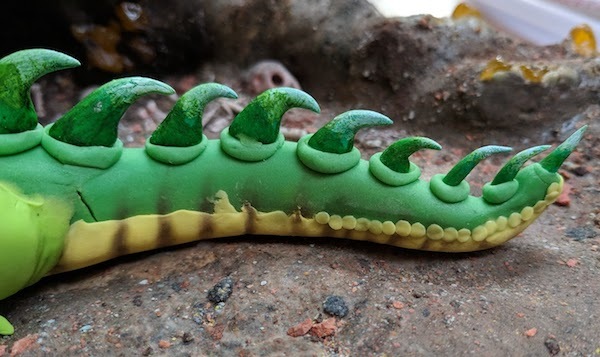 Once all of those were dried, I used more of the matching gumpaste to affix them to the wired portion, positioning them as needed to look like the wings were more folded on the dragon’s back. 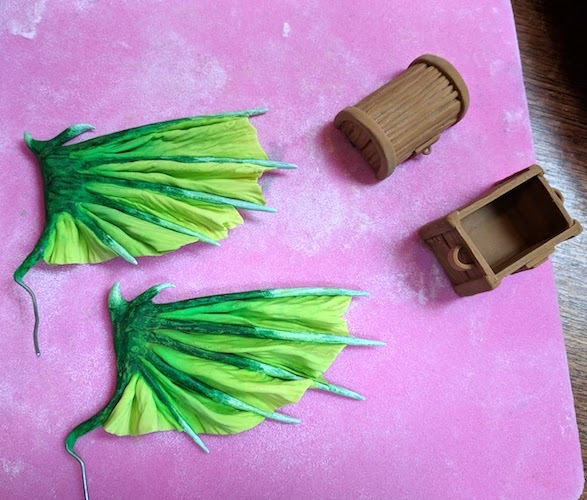 I made one side of each wing sculpted nicely so the wings could dry on the not-so-nice sculpted side, and then when they were dry I flipped them over and did nice sculpting of the joins on the “backs” as well. That gave me an even, textured, strong framework for the wings with a wire back to support the weight going downward into the foil body of the dragon. With the frames ready, I used some of the gradient colours to roll a gradient sheet for the wings. I made small sticks of the various colours I’d already made in a gradient and then rolled them together, folded it and re-rolled repeatedly until I liked the streaky blend. 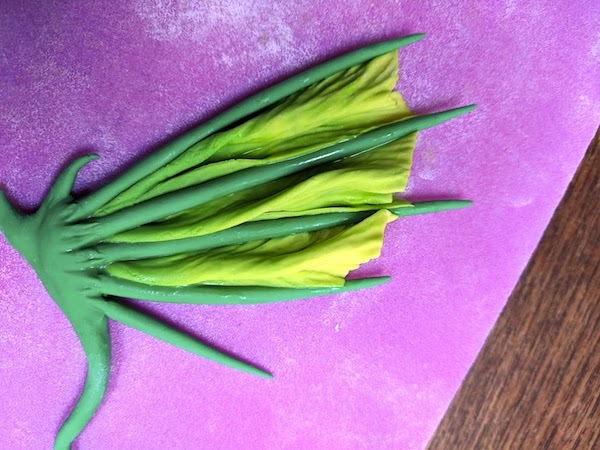 I then rolled out segments of this gradient very, very thinly, cut them to the size needed for each gap of the frame but bigger so it could fold in and look like the wings weren’t fully extended, and then pressed that shape into a petal veiner to make veins all through this green, fleshy bit. This is one of the things I love about Satin Ice gumpaste above others, that it stays creamy-soft for the longest time without forming cracks, but dries rock-hard. And no, they’re not paying me to say that (although this particular bucket was in my Austin show winnings so I didn’t pay for it, but they didn’t know it’d come to me when they donated it to the show). It’s my favourite gumpaste because it works the best for the kinds of miniatures I like to make, and I just ordered another bucket for full cost from a store here in the UK even though I can get other brands cheaper. 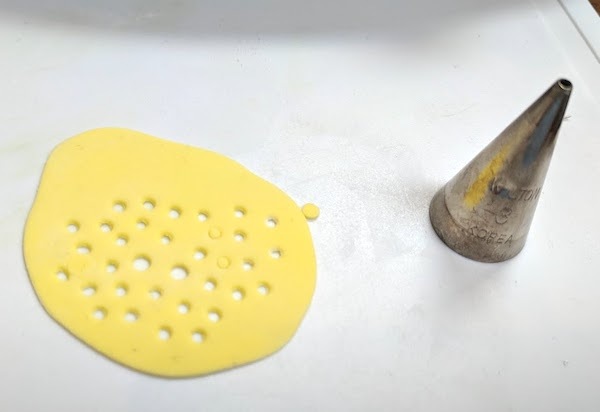 I tried something similar with another brand of gumpaste in the past and it kept cracking as I was working, but the Satin Ice stuff stayed pliable while I worked. Of all of these segments, I only had to trash one where I’d rolled it too thin and the veiner had created actual cuts through. The rest stayed soft under a plastic sheet while I worked and made a very tricky task work well in the end. To affix each segment, I wet the bony bits on either side and then used a damp brush to gently attach the sides of the cut fleshy bit to those bony bits. I spent a very long time ensuring it was centred down the bone and going straight up into the join with the main arm, where I’d use the wet brush to pull/squish the folds right up against the wired bit. This brought all of the fragile connections together strongly but still preserved the delicate nature of the fleshy wings. Each section had to be left to firm up before I could progress to the next or else I risked damaging it. I also had to keep lining up the gradient and tapering the ends with the curve of the wing. Once they were done and dried overnight, I painted the bony bits in the same style as the spines and horns. I did each side and let them dry while also working on building the tiny treasure chest. It’s important when making a piece like this to keep coming back to your original plan (even if that’s just in your head) and making sure the elements are coming together as expected, or adjusting if they’re not. So while the wings were drying, I cut out one of the paper bits I’d used as a rough template and folded it to get a sense of where the wings would end up and how the figure would fit along with the poster and the treasure chest. I made the poster in between other elements drying, simply by cutting a rectangle of extremely thinly rolled beige paste, letting it dry in a cast-aside sort of position, and then writing the words on it with an edible ink marker. I also began work on the princess at this point. I considered making her “not pretty”, possibly even with a scar on her face since the two characters had just been through a battle, but since I was going for top judging I decided to play it safe and go with “pretty”. This is because in the past when I’ve made figures for various shows that don’t conform to the mainstream concept of a “pretty” female face, I’ve had judges think I didn’t know what I was doing and mark me down for it. This is a sad, shameful fact about how misogyny pervades everything in our society, but the reality is judges are looking for perfection in modeling and don’t always understand when artists push beyond into statement pieces. You never know what judge you’re going to get so I decided not to risk it and just go for a dainty-faced, pretty princess with cute little freckles, hoping the incredibly tiny freckles themselves would get me some points. To make them, I had to put pin-prick dots on her cheeks and then use a magnifying glass and a needle tool to scrape most of the pin-prick away. The judge made no note of them so I don’t know if they counted for anything, but I’m very pleased with them nonetheless. I made the tiny face first, knowing there’d be messy hair later so if I had any trouble making more of a head I could still get it on. I also pre-made the hair colour by tinting some Satin Ice gumpaste with a mix of Americolor gels in the brown-red-orange range until I liked the tone. 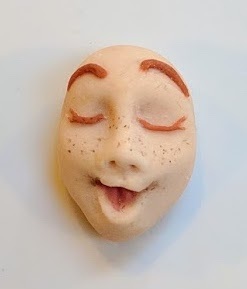 I used a tiny bit of that to make her eyebrows and eyelashes. This face is the size of my pinky tip and was entirely hand-modelled using a needle tool, an X-acto knife, two of the soft-tip Innovative Sugarworks mini Sugar Shapers, and a small damp brush. I also made her arms early on, with bulked-up shoulder armour narrowing down to tight leather sleeves laced with hand-rolled incredibly tiny black laces. This dried gumpaste arm would be outstretched later so it has a toothpick in it, protruding out at the shoulder to affix later to the body. I also later dusted it with darker brown dust to dirty up the leather armour and add texture and shadows. The hands were also made separately very early on and left to dry so they’d be very strong, especially the one with the outstretched finger. 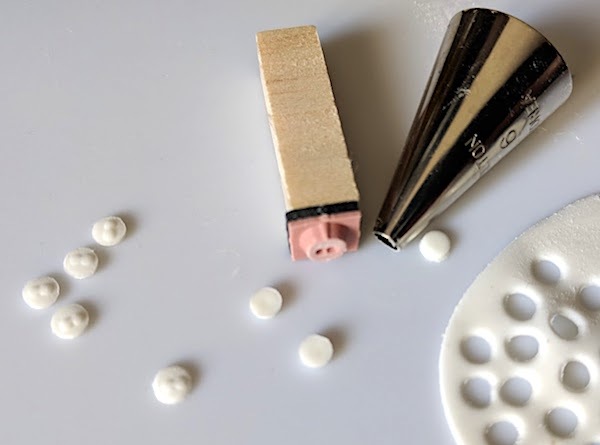 They were attached to the arms later by cutting out tiny, thin circles of white gumpaste, rolling those on the foam mat, and poking them into the ends of the arms as protruding sleeve cuffs. That gave me a squishy, sticky bit of paste in which to stick the hard-dried wrists. 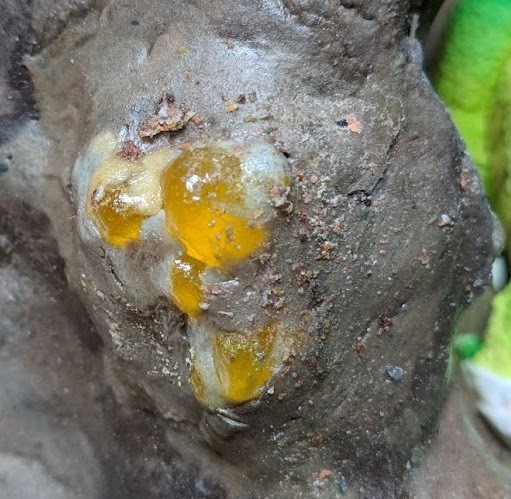 Then when the wings had dried overnight, I put them in place with three graduated balls each of the dark green gumpaste, sinking the wire down into the hole and those balls so it would be a snug fit. Even then, the weight of the wings threatened to make them turn so while I was able to rest the dragon’s right wing tip on one of the rings around a spine to keep it in place as it dried, the left wing kept trying to rotate so I had to put a support in place while it dried for a full day. Later when these attachment bits were dry, I painted them to match all of the other spines, horns, etc. I made some very dark green-gray gumpaste using Americolor Super Black and some of the dark green combo I’d made earlier to serve as the princess’ inner body and later her chainmail and leather skirt. 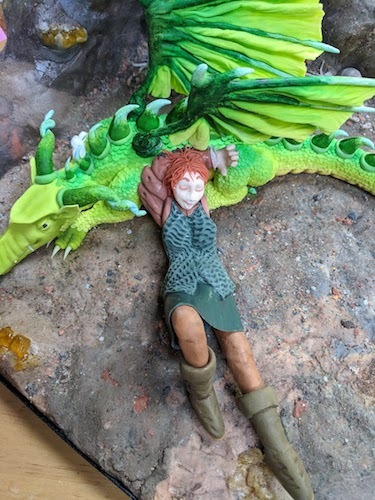 I wasn’t too worried about the exact shape of the inner body as long as it was the right curved angle for her body leaning up against the dragon, and having the right shoulder and hip surfaces where I could later mount those limbs. At first I accidentally made her breasts way too big because it’s important to remember when making an underbody like this, that any covering on top will make it seem even bigger, so I had to hack her breasts back drastically so she’d be in the right proportions once I made the chainmail later. I dried this torso form overnight at first with the arm loosely in place, and then the next day built the face onto a head with the first covering of hair, and then mounted all of that together with a toothpick. Then I made sure this assembly went well with her right arm that would be tucked under her head and up against her dragon. Once I was happy with this placement, I affixed the lower torso into place with some extra rock/dirt mixture. 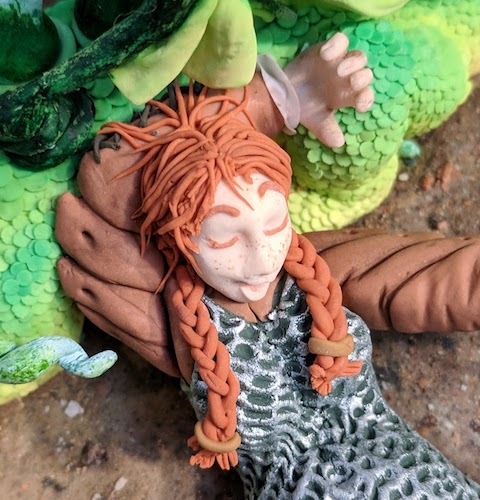 Then I attached that right arm to the shoulder and to the dragon’s body, and began to add more hair bits between the arm and head to get all of that locked into place securely. 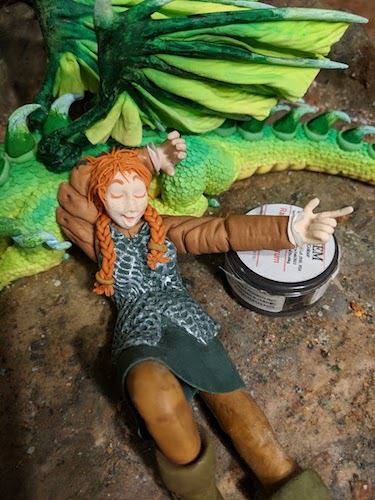 I pre-made the boots out of some gumpaste made of a mix of brown and green tones, shaping the foot and then pulling up an ankle and leg shape. I flared out the top edge, then bent it down and trimmed it to make the cuff. I used a thin blade to indent a side seam and a needle tool to make holes for laces later. Then I made sure there was a good top edge pinched out with a hole I could later put a leg into. 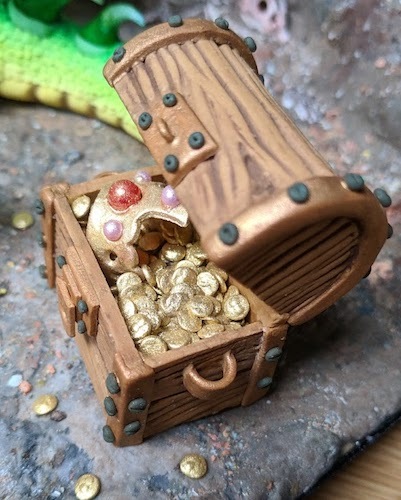 Once the boots were dried, I made soles out of the same colour I used for the treasure chest, although dusted differently so it looks like a different shade in the end. I also added the black laces up the sides. The legs were made of gumpaste tinted with a mix of Americolor Ivory and Warm Brown to go for a buckskin type of colour. 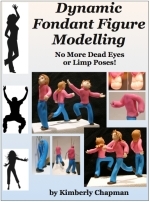 They were bent into place and pushed into the dried boots, then dried separately from the figure. Once they were hard and the figure was firmly in place, I mounted them to the hips using more of the matching leg colour to build the gusset of her breeches, just in case anybody looked up her skirt later. The legs were also dusted heavily so they’d look leathery but also as if she’d just been in a battle. I even dabbed some bits with water and re-dusted to make various levels of “dirt” in the creases and high points. Once the legs were solidly in place, I rolled a very thin skirt and tucked it around the model. This was tricky with her already laying down, and I had considered putting the skirt on first, but then I would have risked breakage all over. It took a few goes to get the skirt cut to the right angles and sizes for tucking, especially while keeping that lower edge 100% perfect with no splits, but again the Satin Ice performed extremely well. I was so proud of that perfect skirt edge, although I’m not sure it was even noticed by the judge. The skirt and chainmail had to be wrapped around the figure in this position, which was tricky to make look contiguous. The chainmail was made with the same colour as the torso and skirt, using a technique that RPG mini makers use where you use a tiny ball tool (I used the one that comes with the PME miniature tool set) to push indentations down in a column one way, and then up in the opposite direction, and then paint over the top edge with silver. There are several videos on YouTube showing this, but here’s a link to one I used. I used Rainbow Dust Metallic Food Paint in Light Silver on top. Once the chain mail was painted, I also finished making all of her loose hair bits and her braids. Those are real braids, braided with tiny strands of the hair colour. I made them very long so I could cut the looser top bit off of each, roll that top bit to a point, and insert that in holes I’d left in the hair on her head. Then I added extra loose tendrils here and there as needed until I felt like there were enough. I also made tiny bands for the ends of her braids and used the point of an X-acto knife to flare out the ends. Then I mounted that last arm with its super-delicate outstretched finger, supporting it on an old Rolkem dust container now that we can’t use those recalled dusts for much other than supports! Chainmail painted and the final arm in place, waiting to dry for her crown as the last bit to go on her. I wasn’t sure how I was going to get that crown on her finger stably at first, because to be honest I’ve never had much luck with edible glues. 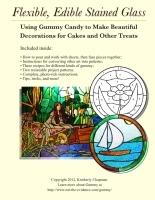 But I happened to win some Rainbow Dust Edible Glue from a Cake Masters Magazine giveaway on Facebook in early October, and had found it to be useful for some of the other elements on this piece already. I was really impressed with its holding power, so I tried it with the crown on her finger and although it took awhile to dry into place, it did dry firmly overnight. Meanwhile I put the extra dragee-jeweled crown I’d made (I’d made three styles, a thin one as seen on her finger, a bigger one with jewels I decided looked too gaudy, and an in-between one as a backup to take to the show in case the tiny one broke in transit) into the treasure chest and loaded in all of the gold coins except for the ones I’d reserved to be on the ground. 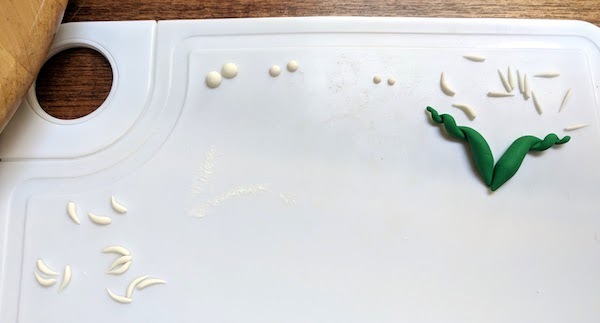 I used the Rainbow dust glue again and although it was taking the gold dust/paint off of the pieces just because they were so small, if I was careful it stayed on enough to dry in place. 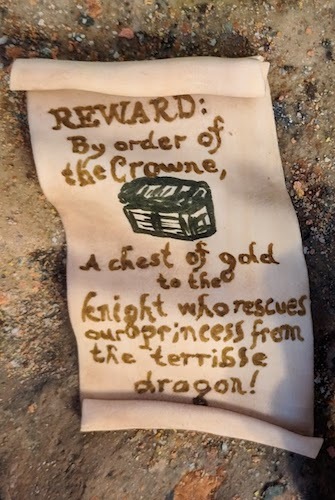 Once the chest was full, I put it and the poster in place on the ground, using soft rock/dirt fondant as needed. 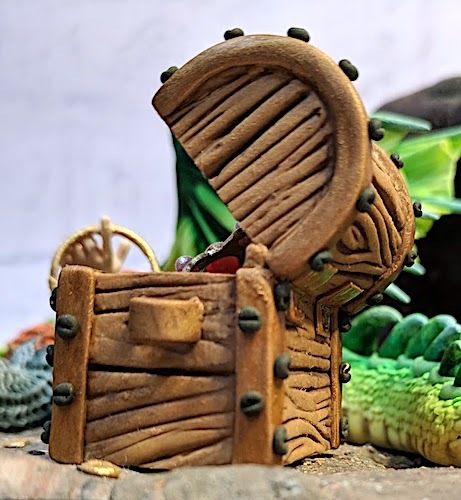 The chest is made from brown gumpaste panels, shaped initially with the Katy Sue wood texture mould that came in a recent Cake Bag set. I accentuated some of the lines with a brush, then cut panels to size, shaved them down after drying with a microplane grater to make sure everything sat 100% flush, and bound the edges together with matching brown gumpaste. Then I painted those edging bits with Amerimist Copper, along with the back hinges, front lock bits, and side handles. I made tiny screws out of black gumpaste and indented them with the tip of an X-acto blade. The chest is 100% edible with the lid supported only by more gumpaste in the hinge edge. And with that, the piece was done! The finished piece. Click to see an enlarged version. The hair bits spilling all over her arm and head. Side of the princess (click to enlarge). To give an idea of scale, those ruffles were cut with a #12 Wilton tip and then rolled on a foam mat. So the wrist fits in smaller than a #12 tip. The bandage from above, so you can see that it was actually tied, not just fake-tied. Rear-side view of the chest showing the back hinges. 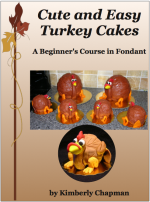 This entry was posted in Cake Decorating, Figures, Praise from others, Prize Winners. Bookmark the permalink.